August 2003 – During a business trip to Bacau with American business clients, I took the opportunity to detour to Oituz. Catalin Mardare, the County Prefect, called on the Mayor of Oituz/Grozesti to show me the site of the Cosna battle. Meeting him we follow him up into the hills along dirt roads and reach the monument to the Hill 789 events in WW-I. This is clearly a strategic point facing west into the Carpathian valley that was the entry point for the Alpen Korps and the Wurttemberg regiment. 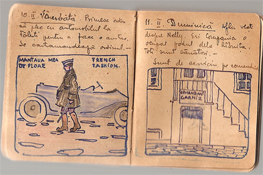 March 2005 – Founder of the Romanian Boy-scouts in 1913 modeled on Lord Baden-Powell‘s movement, my father’s illustrated diaries are a unique personal insight into Romania’s entry into WW-I in August 1916. They become the first inspiration to create a documentary on the War. 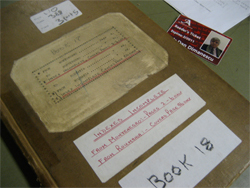 December 20, 2007 – My son, Nicholas, and I sit down and write a one page outline of a documentary production based on my father’s memoirs and experiences including his involvement with Col. Norton Griffiths (sabotage of Ploesti oil) and fighting against Lt. Erwin Rommel on the Romanian front. We decide to call it Hill 789. January 2008 – At the Romanian Embassy in Washington, I meet violinist Sherban Lupu. During a coffeee break, he hears about the “Hill 789” project and agrees to collaborate on the musical score. His grandfather was a WW-I veteran. February 2008 – To confirm my father’s Military Cross award by the British, I search in vain for the record. 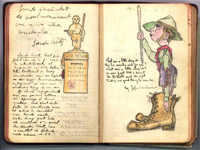 While on a trip to London, I plan a visit to the National (Military) Archive at Kew. I am fortunate to have Col. Michael Carrington with me. Together we search through all detailed listings of MC awards of that period and find nothing. As a last resort, he asks for an expert and by chance an elderly retired archivist on volunteer duty knows exactly where Romanian award winner listings are. 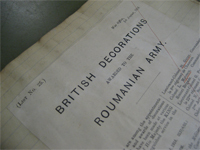 An hour later the documents arrive with confirmation – including a list of 55 other Romanian Military Cross winners. March 2008 – Searching Romanian archives proves fruitful when Alex Arma, amateur military historian, finds very useful Cosna photos. 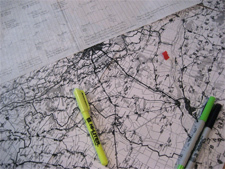 April 2008 – Visiting the Stuttgart Archives where the Wurttemberg Regiment records are kept, I find Rommels’ hand-drawn Hill 789 maps and 100 pages of his personal notes on the two-week ‘Last Stronghold’ battle. 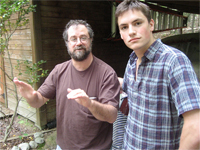 May 13, 2008 – Meeting in Chapel Hill, North Carolina, with artist George Pratt to discuss the project. He agrees to create graphic work for the documentary. 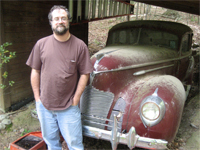 George Pratt in front of his 1939 Hudson and with Nicholas Dimancescu in Chapel Hill. May 19, 2008 – Discussions at the Romanian Military Museum (Bucharest) with archivists Nicolae Moghior and Anca Ionescu and Hill 789 researcher Alex Arma. Photo at right includes captured giant Austro-Hungarian WW-I ‘Skoda’ canon on rails. May 23, 2008 – Violinist Sherban Lupu and Sorin Iliesiu (film director) meet in Bucharest. 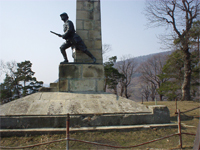 June 1-10, 2008 – Detailed research begins by studying original sources such as Erwin Rommel‘s personal battle field orders to guide filmmakers to precise location shots on Hill 789. June 10 – July 14, 2008 – Shooting by Sorin Iliesiu on site in multiple locations: Flamanda, Izvorul, Ploesti region, Oituz (Hill 789). Heli shots (SEE) over Hill 789 trenches where the setting is unchanged in 90 years. July 23-26, 2008 – Nicholas Dimancescu attends San Diego Comic Con with 150,000 other enthusiasts. The purpose is to see and meet graphic novel and animation personalities. August 27, 2008 – Discussion at National Geographic Magazine (Romania) with Editor Cristian Lascu and staff re article on WW-I. August 26-Sept 14, 2008 – Filming by Sorin Iliesiu in Izvorul de Sus, sound track recording with Sherban Lupu, and battle site visits with George Pratt. 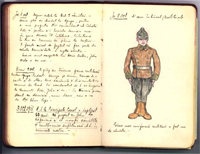 October 3, 2008 – In Seattle, Oregon, interview with Prof. Glenn Torrey, University of Washington historian and specialist on Romanian’s role in WW-I. October 16, 2008 – Meetings in Washington, D.C. to discuss film distribution.